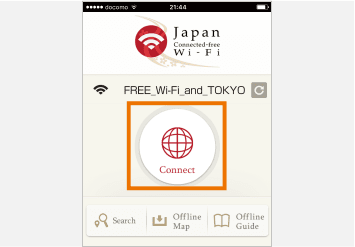 If you use "Japan Connected-free Wi-Fi", you will be able to access Wi-Fi not only in "TOKYO FREE Wi-Fi" hot spots but in airports, train stations, convenience stores and many other locations! 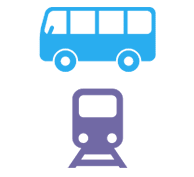 A network connection is required for each operation. 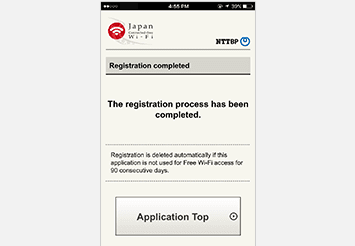 At a place with a network connection, complete the steps up to user registration. 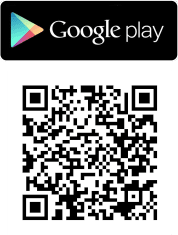 Install the app from GooglePlay, AppStore. 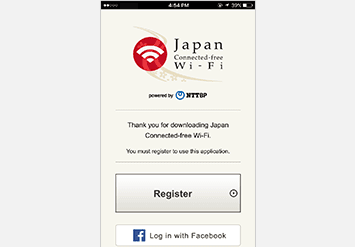 Start the app, and tap the "Connect" button. 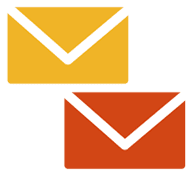 When your doing the initial startup, you will see the message "Now getting the data", and the latest data will be downloaded. 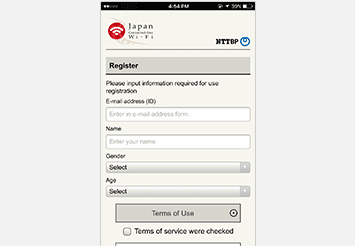 The registration screen will be displayed, then, select your registration method. User registration will be completed. 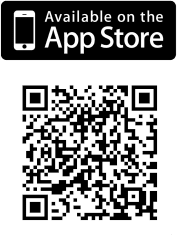 Tap Application Top", and you can start using the app. 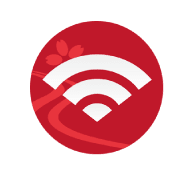 Head to a free Wi-Fi spot. 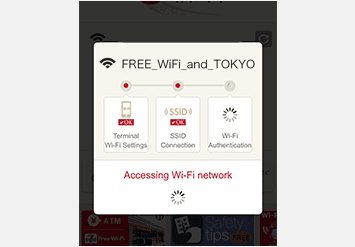 The app automatically turns the Wi-Fi settings "ON" on your device, and initiates a connection to "FREE_Wi-Fi_and_TOKYO". 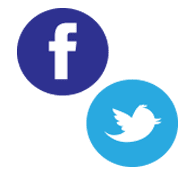 You are now able to access the internet. 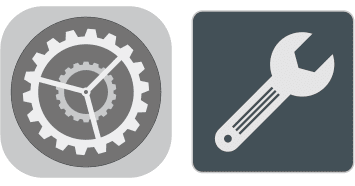 Tap "Settings" on your smartphone or other mobile device. 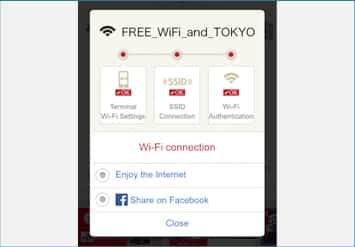 The network name which you have just chosen will be displayed, make sure that the "Connect" button is displayed in red. 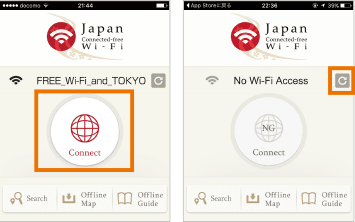 ※ If the network name is different and the "Connect" button indicates "NG", tap the top right button to refresh the list. 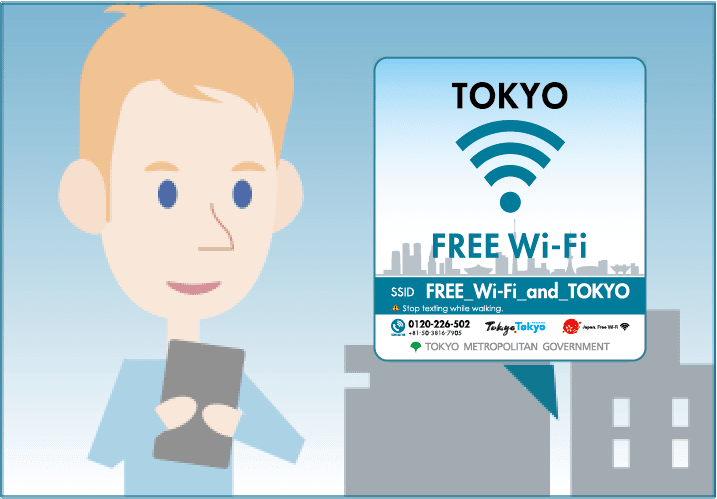 The connection to "FREE_Wi-Fi_and_TOKYO" will start.